As a San Diego native, Christian has extensive knowledge of every part of this beautiful city. Christian is extremely passionate about helping his clients get what they want, in the time they want. As a Listing and Short Sale specialist, he is very experienced with getting homes on the market and getting them SOLD for top dollar. He works everyday searching for the right buyer for his client’s home. He uses his youth and high energy to his advantage to out work his competition. With an extensive athletic background, his work ethic, aggressive nature, and tenacity are all advantages that he utilizes to outwork his competition. 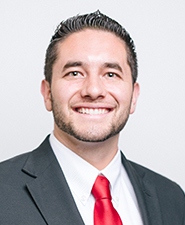 Christian gives his 110% everyday from start to finish to get the job done and provide an award winning experience of selling or buying a home for his clients. Growing up in a Real Estate family and being apart of the prestigious Tony Elias & Associates team, he has learned and mastered every aspect of the Real Estate business. With all of his hard work and dedication over the years, he has earned the right/privilege to call himself one of the top Millennial Realtors in San Diego. Christian is proud to say that he is a part of the Tony Elias & Associates award winning Platinum level team with Century 21 Award located in San Diego; America’s most recognizable, trusted, and used brand in the Real Estate industry.